I think you would agree with me on this one! One of the coolest items to ever hit our website and the collecting market! 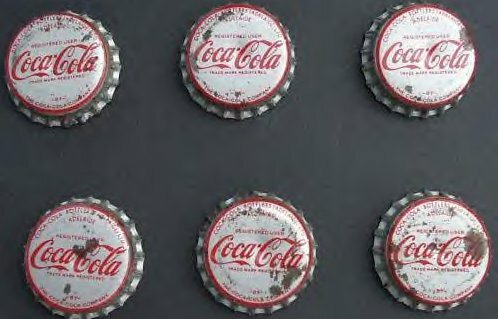 Unique and rare are these 1967 Coca-Cola bottle caps from Adelaide South of Australia. Cork caps inserted the inner linning on these caps, and a hidden secret until you removed the caps to find who was behind them? Amazing the complete set is around today! Unknown if Dr. Smith and the B-9 Robot graced this set of caps? Bottle caps include John, Maureen, Don, Judy, Penny, and Will. 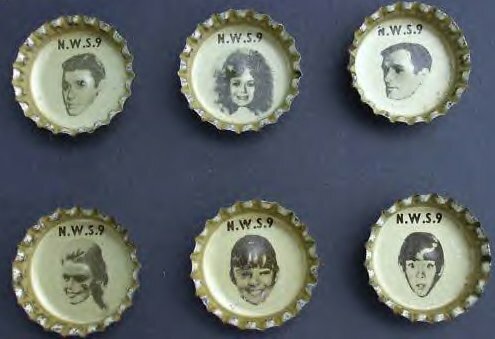 The N.W.S.9 was a TV network in Australia that sponsored the show and these great cross-over collectibles with LIS and Coca-Cola fans around the world.